I’ve been watching my dad pan-fry his bacon, pat dry, mop up the pan and toss the bacon-fat drenched papertowl in the bin, since I can remember. Which is why when my turn in the kitchen came around, I didn’t even think twice. Until one morning I realized that what I was throwing away was much more than just, oil. It was fat. Salty, juicy, bacon fat. If you’re grilling/roasting/baking/frying bacon, do not throw away that fat. Sure, it’s fat. It’s also salty, packed full of flavour, and if you’re about to reach for the butter and or olive oil, then you’ve just found your next use for bacon fat. Do not. Throw away. Your bacon fat. nibs etc. original recipe. Serves 1. 1 Chunk of Crumbly Goat’s Cheese. Place your bacon in a cold pan and turn on the heat to medium. Cook until desired crispy-ness (or lack thereof) is reached. While they cook, thinly slice your nectarine (.5cm). When seed reached, run your knife all the way around it, and if your nectarine is ripe, it should come right away from the seed, and you will be left with a hole-y slice. When bacon is ready, with a slotted spoon, remove from the pan and set aside. Place your nectarine slices in the pan, still on medium, and grill/pan-fry about 3-5 minutes on each side, until flesh has charred slightly. In the meantime, prep your kale: remove stalks, wash and rough chop/tear leaves into bite sizes. 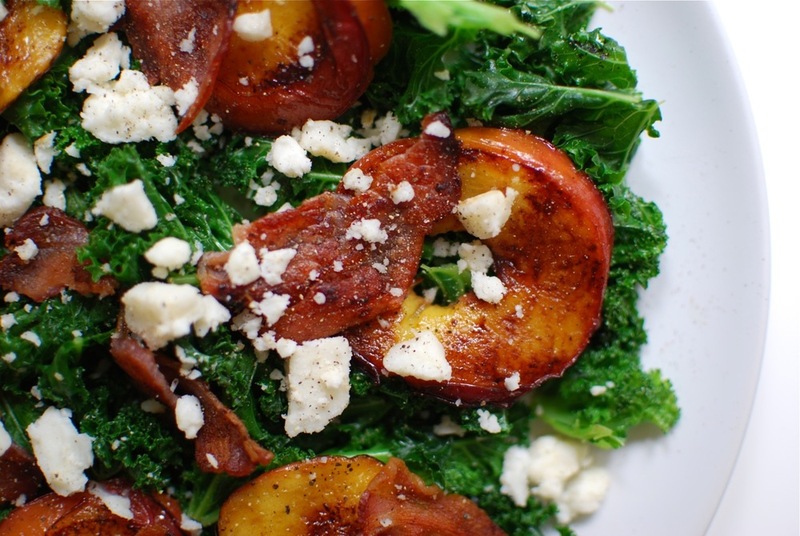 When nectarines are ready, remove with a slotted spoon and set aside, with the bacon. Into your hot and still greasy pan, place your rinsed kale leaves, toss to coat in any remaining grease, then leaving heat on medium, cover the pan with a lid, and allow to wilt slightly for about 1 minute. When a touch soft, turn off the heat, remove from the pan, placing directly onto your serving plate. Top with rounds of nectarine, slices of torn bacon, as much crumbled goats cheese as your heart desires, and finish with some freshly cracked black pepper. Substitute your nectarine with any seasonal fruit: watermelon, pear, apple, grapefruit, pomelo, the options are endless. Substitute the bacon for pancetta or any fatty sausage meat. Substitute goats cheese for feta, crumbly aged cheddar , blue (which would pair nicely with apple or pear). Go crazy. 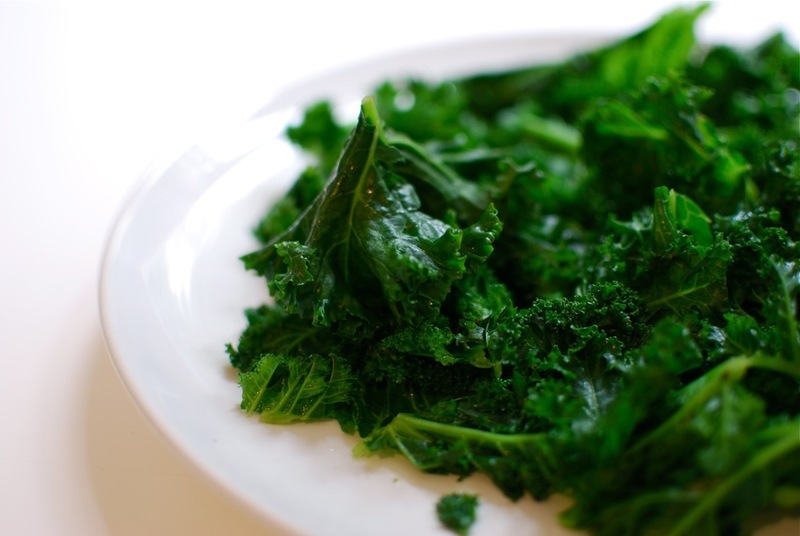 Substitute kale with any hearty leaf, chard for example.